Once you have issued your Credit Notes, (Please see Issuing Credit Notes for details), they are no longer editable. Therefore, if you need to make any changes, you will need to reset the Credit Note. This article discusses how to do this, as well as what to keep in mind, should you decide to proceed. Enable Can reset invoices: This allows you to reset all invoices except the ones with the booked status (exported to an accounting system). 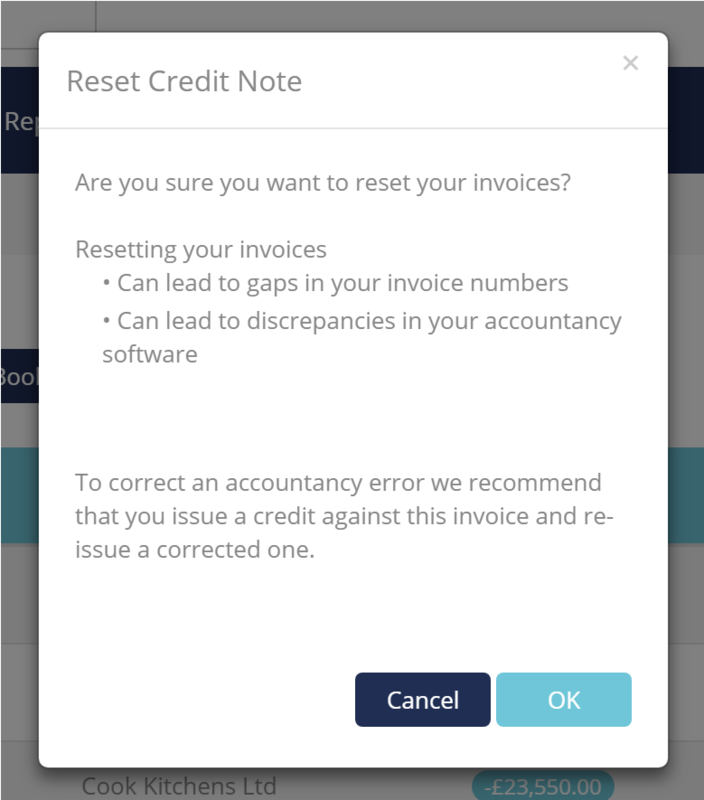 Enable Can reset booked invoices: Please be aware that resetting booked Credit Notes can cause accounting discrepancies since the Credit Notes you're able to reset may have already been exported and recorded within your organization's accounting system. Read more about Booked vs. Unbooked Credit Notes. If you cannot go through the steps above, please ask an Operate Admin in your team to enable the option, according to Operate User Access and Security Groups. Go to Invoicing > Credit Notes. Selecr the Credit Note(s) you need to reset. Click Reset Credit Note at the top of the list. Operate will then ask you to confirm the reset and provide you with information on some aspects you need to consider when resetting. Click OK to confirm, or Cancel if you change your mind. You will now find your invoice under Invoicing > Draft Credit Notes. This is where you can edit and reapprove it as needed, as explained in the guides dedicated to Drafting and Issuing Credit Notes. Can lead to gaps in your Credit Note numbers. Can lead to discrepancies in your accountancy software, especially if you reset booked Credit Notes.